The EOI Test Generator offers customisable EOI-type tests for all regions of Spain. 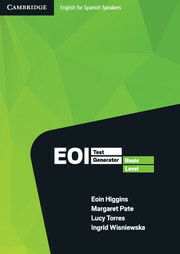 The EOI Test Generator Basic DVD-ROM is specifically written to provide practice tests for the Nivel Basico of the Escuelas Oficiales de Idiomas. It allows teachers to create, edit and save custom-made, skills based competency tests for all the different regions of Spain. All the tests are based on the task types outlined in the National Assessment Criteria. There are five complete tests covering Reading, Writing, Speaking and oral interaction and Listening. 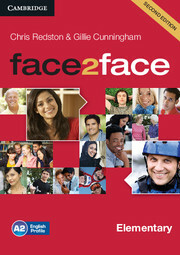 Also available for online use at www.thecambridgeteacher.es. The Reading tests include long texts and shorter multiple texts with a variety of question types to choose from. The Writing tests offer a variety of tasks including both written expression and written interaction. The Speaking tests include monologues, presentations and oral interaction with both the examiner and with other candidates. The Listening tests also include video listening tasks. The Generator provides two versions of the tests you create, one with answers and one without, so as to enable either self- or whole-class correction.